Hmmmm! OpenNI is a library for "Natural Interface" devices, and is used in a number of Kinect hacks. At this point, our team started scrambling to find a Kinect at 8 AM on a Sunday and set up OpenNI. However, once leshi and I heard what they were up to, we headed over to UW's Robotics and State Estimation Lab, where they've been working with Kinect-like sensors for at least a few years now. Before we could actually run the program, there was one more small hoop to jump through. 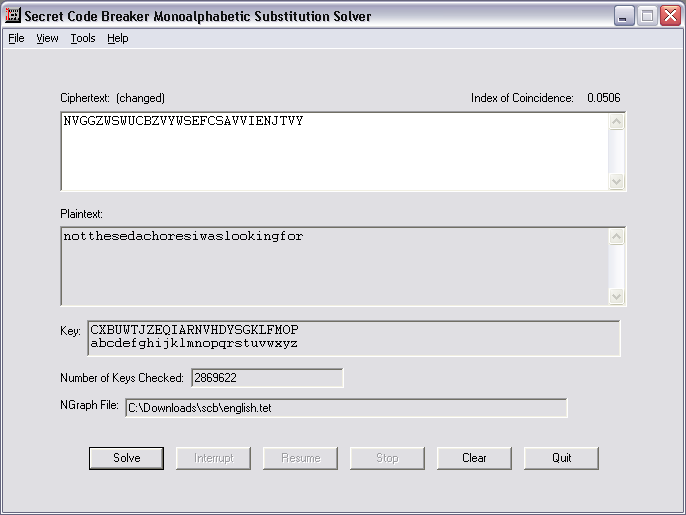 We needed to create an OpenNI configuration file named SamplesConfig.xml. Thankfully, a quick Google search brought up two sample files that we basically mashed together. We needed to define a depth source, and since we figured it was going to be doing some gesture recognition, we enabled the User, Hands, Gesture, and Scene nodes. However, there didn't seem to be much rhyme or reason to what was going on. We were also extremely disappointed that ddtek did not include a "sheep" gesture detector. I'll leave the details of that particular gesture to your imagination. Huh! That looks like the main loop! And over to the right is a branch that will print "you got it, that's all folks!" We began to track back what was necessary to hit this branch. 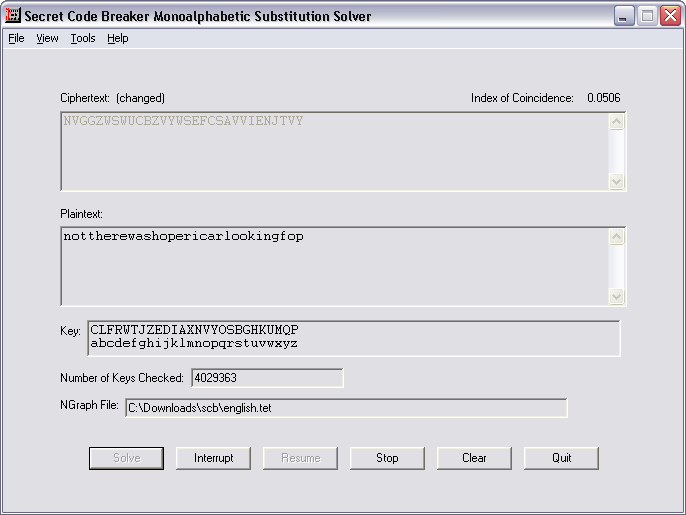 Basically, the word at 0x6164C0 (which I'll call "magicNumber") needed to be greater than 0x1d while tracking a user. But how does magicNumber get incremented? xrefs to magicNumber pointed to one function responsible, located at 0x404D40. I'll call this function "challengeComputation." Unfortunately, challengeComputation was tricky to reverse engineer. It made a call to a really hairy function, which itself called several other ugly functions a lot. This is when I decided to return to my old friend, Google. As it turns out, the app is mostly unchanged. 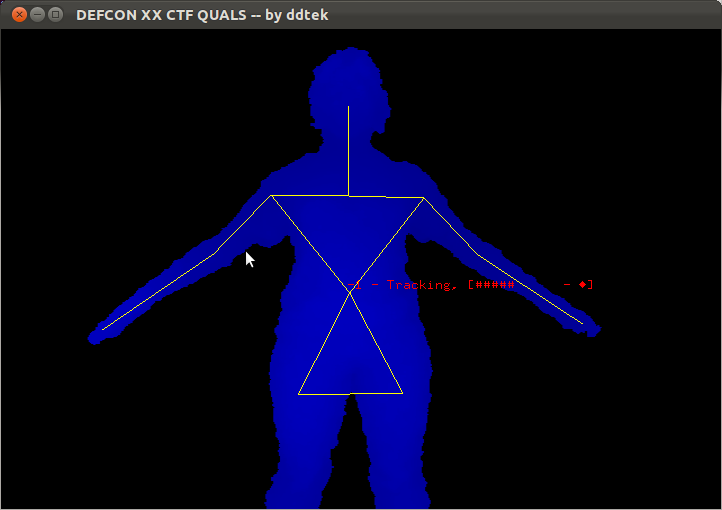 They changed some strings (namely, "looking for pose" and "calibrating") in SceneDrawer.cpp:DrawDepthMap, but the real addition was the call to challengeComputation between some of the DrawLimb calls. 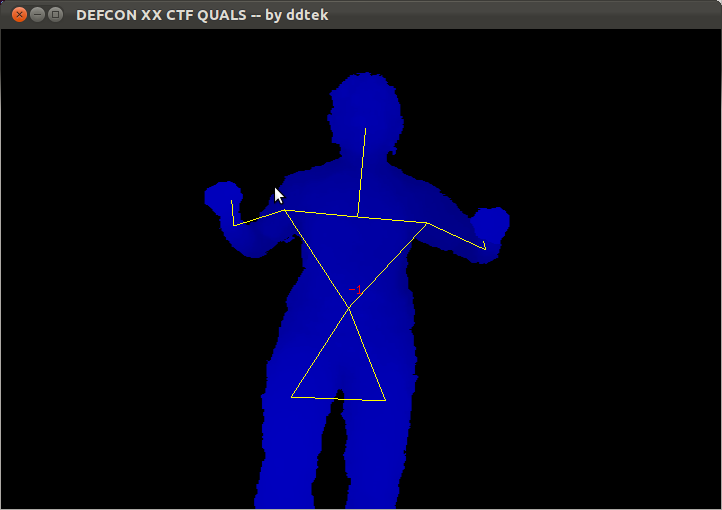 We were able to tease some more information out of comparing the source to the assembly, such as the fact that challengeComputation would retrieve the XN_SKEL_LEFT_SHOULDER, XN_SKEL_LEFT_HAND, XN_SKEL_RIGHT_SHOULDER, and XN_SKEL_RIGHT_HAND coordinates and pass them to more ugly functions. At this point, we ran the app under gdb and observed the behavior of various functions. 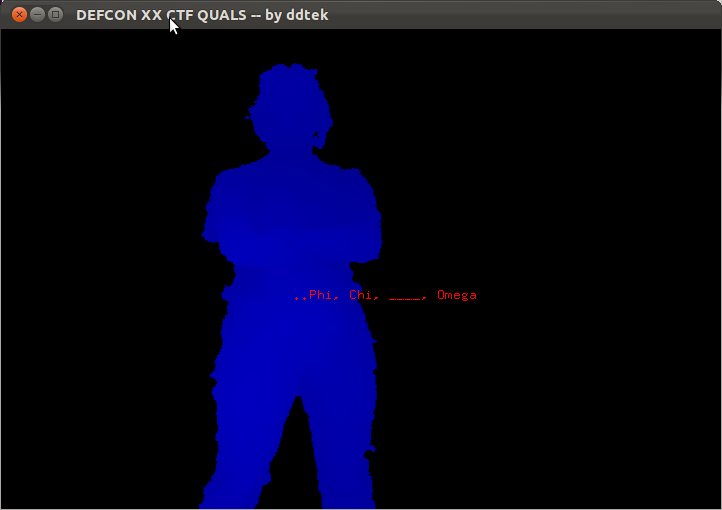 An array at 0x6164E0 (which I called magic3) would get filled in different ways depending the result of calls to different functions, which we hypothesized were gesture recognizers. The number of leading 0 words in magic3 is counted by challengeComputation, which compares it with a number stored in an array at 0x60C660 (which I called "wtfArray"). At this point, leshi guessed that "sedachores" was actually "semaphores," giving us the key "notthesemaphoresiwaslookingfor".